Powered by hand crank, solar, AA battery or AC. The materials you need to define and control disaster areas. Emergencies and disasters mean establishing a clear incident command center and marking off boundaries and dangerous areas. 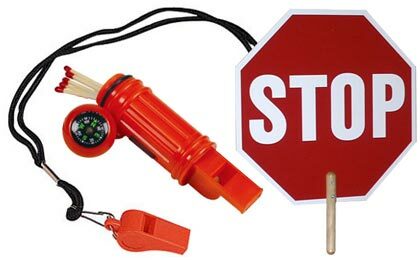 Caution tape, light wands and all the essentials are available in one place at a price that any emergency or first responder group can afford.